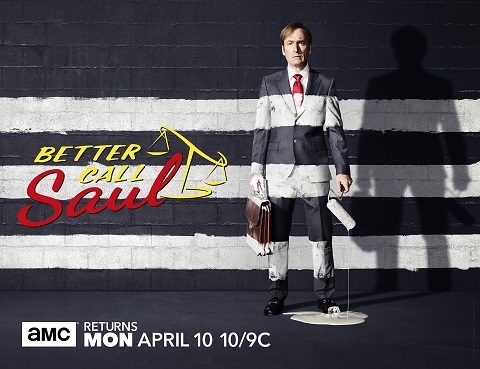 Better Call Saul will arrive next month, and the key art promoting the premiere of the drama has now been released. In addition to the new key art, a press release detailing the season ahead was also released. “AMC released today the key art for season three of Better Call Saul in anticipation of the show’s premiere on Monday, April 10th at 10pm ET. 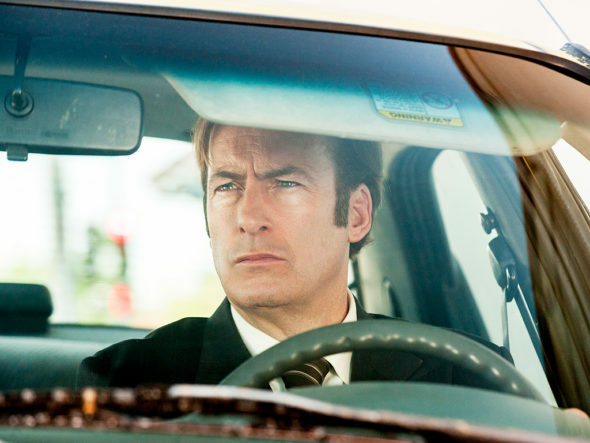 The art, which depicts Bob Odenkirk as “Jimmy McGill,” plays off of Jimmy’s propensity for putting himself in situations which could ultimately lead to his incarceration. Season 3 follows the twists and turns of Jimmy McGill’s devolution toward Breaking Bad’s Saul Goodman — Albuquerque’s most notorious criminal lawyer. Six years before he meets Walter White, Jimmy is a more-or-less law-abiding, small-time attorney hustling to champion his underdog clients, build his practice, and somehow make a name for himself. The acclaimed second season ended with a pair of cliffhangers. Determined to prevent his brother from practicing law, Chuck staged an elaborate con, secretly recording Jimmy’s confession to a felony. When Mike set his sights on sociopathic cartel boss Hector Salamanca, an ominous intervention stopped him from pulling the trigger, raising questions as to what other dangerous players may be in the game. As the new season begins, the repercussions of Chuck’s scheme test Jimmy and Kim’s fledgling law practices — and their romance — as never before. This imminent existential threat presses Jimmy’s faltering moral compass to the limit. Meanwhile, Mike searches for a mysterious adversary who seems to know almost everything about his business. As the season progresses, new characters are introduced and backstories are further illuminated with meaningful nods to the Breaking Bad universe. Check out the new Better Call Saul key art for season three below. Are you excited for the return of this series? Tell us what you think.